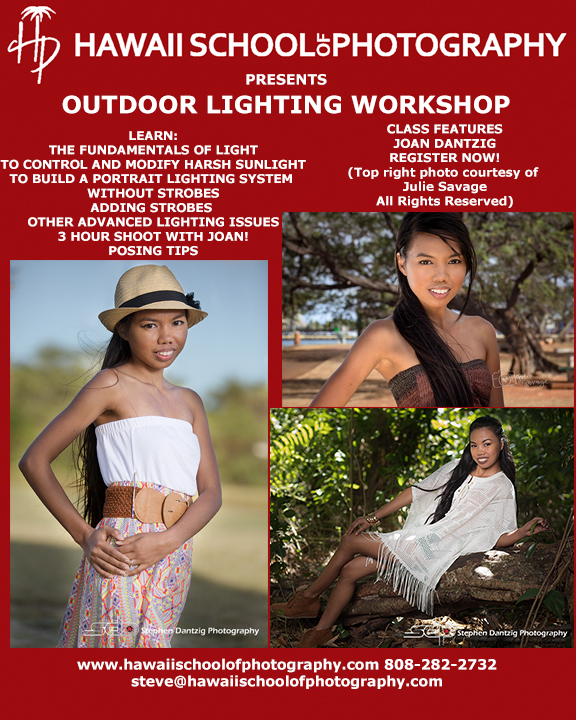 Outdoor Lighting Next Workshop One specialty workshop is held every month. 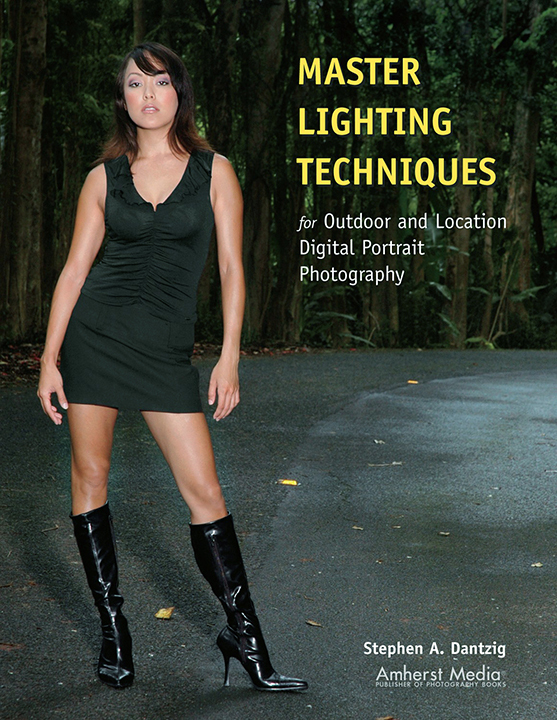 The outdoor lighting class runs from 9AM to 2 PM in my downtown studio and 3PM to 6PM on location. Please click here to check our calendar for dates, availability and to register online. OUTDOOR CLASSES ARE SUBJECT TO WEATHER POSTPONEMENTS! Models subject to change based on availability. Thanks very much for the class! It was extremely helpful in not just helping me remember the mathematical equation for distance to target, foreground/background, and flash setup for apertures but I also had another help. I have decided that I do really like this kind of photography and wish to actively pursue it more often. I sent Rayna a facebook message thanking her to allowing us to photo shoot her, what a sweet heart. I would definitely do your class a second time and you were a great and patient teacher. Thank you!